This post, written by high school student Aboya Omot, is the second of two parts. You can read the first part here. That’s the typical response teenagers hear when they participate in any experience that takes them out of their comfort zones. Yet the idea that a trip to a foreign country would be a transformative experience for me was one I greeted with great skepticism. Sure, I’ve had plenty of other opportunities that have pushed me out of my comfort zone, but I wouldn’t necessarily say they changed my life or at least changed it in a way that I could actually see. This trip to Ecuador was different. As a student at Excelsior Academy, a New York State P-TECH school in Newburgh, I’m the typical busy high school student, doing as much as I can and trying to squeeze in the things I enjoy, while also catering to the various responsibilities that I have. I’ve given myself a great deal of anxiety worrying about performing well in school in order to ensure a safe, secure future—which is both a good and bad thing. It is good because, as a result of pressuring myself, I have built a really strong résumé, yet bad because I caused myself so much unnecessary stress. Going to Ecuador was a chance to take a break from all of that and volunteer my time in a way that impacted other people’s lives. 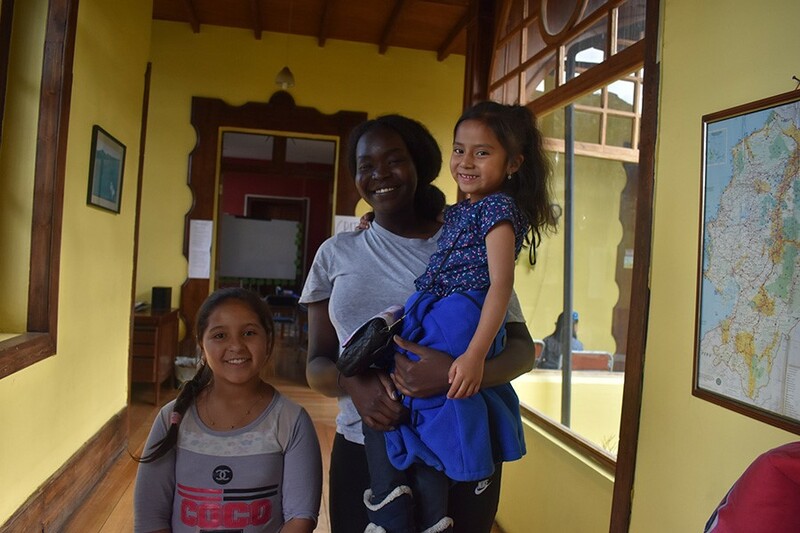 Through a global service-learning program at my school called Global to Local, I joined fourteen other students to volunteer in Quito, Ecuador, at a community organization called Casa Victoria. Casa Victoria runs an after school program helping impoverished kids in the city, providing them with things like after-school help and even a hot meal. We were given two tasks: to help build a learning center in the back of the property and to teach classes to the kids using robots we donated. As I was sitting on the steps one day watching all the other kids play soccer, a little girl approached me and pulled my hand so I would come play with her. We played the same game for, like, an hour, and she lit up with the brightest smile, which made me feel absolutely amazing inside. When I sat down to take a break afterward, she ran and jumped on my lap and started hugging me, the whole time thanking me for playing with her. Initially I was a little surprised because I didn’t think I’d done that much, just playing with someone, but then I felt so moved that such a small action was so graciously welcomed by a little girl. It’s one of the best feelings to know that you can have that effect on people. Later on that night, I sat on the roof by myself and took a couple of minutes to just reflect—not only on how that moment made me feel, but also about life in general. I made a mental list of things I would work on when I came back home, and so far I feel like it’s made me a better, more positive person. I’ve stopped stressing about things that often turn out to be insignificant, I greet people with a much lighter tone, I even make more of an effort to get my siblings to look up to me as a role model by teaching them ways they can help others as well. One big thing I took away from this experience is that helping others helps me help myself, and that’s a big lesson I’m taking to heart.